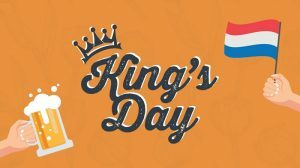 King’s Day is coming up soon so dig into your wardrobe and pull out all of your orange! In my Inside Tucson Business column this week, I caught up with a local chef whose plans for this national day of Dutch celebration call for some truly authentic dishes and drinks. Check out my story here and let me know your thoughts! « Zin, Blues, BBQ…and Blue!